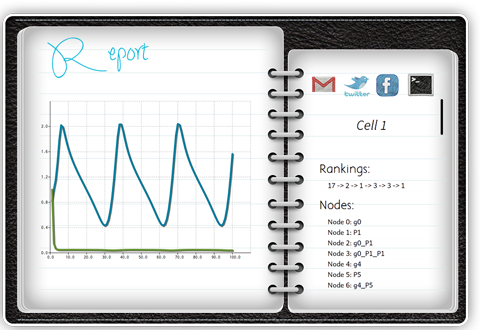 Map is a simple and easy software to visualize your experimental data. Click to import the data and you will get exactly what you want. 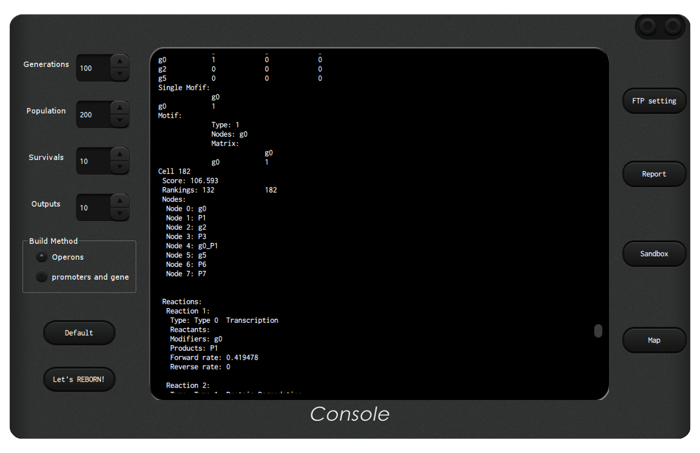 Console is where you manage heavy computing and complex tasks. With different buttons controlling each parameter, you can optimize the behaviors of the software. We applied evolution algorithm and machine learning techniques in the network inferences to provide the best simulation of your data. SandBox displays the Genetic Regulatory Networks in a clean and interactive way, with clear connection and 3-D interaction, you will get better understanding of how genes and proteins regulating each other. Report organizes all output information in folders. 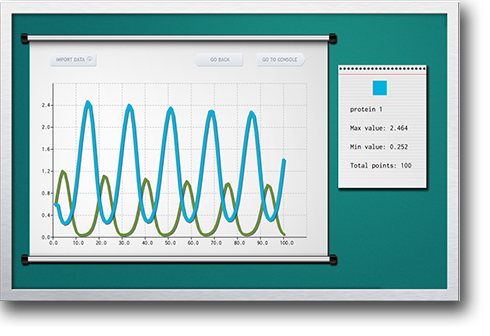 You can review the simulation result while looking at the behaviors of certain genes or proteins. In addition, Report creates a web page where you can review the results on the go. Reverse Engineering is the process of discovering the inner technological or scientific principles of a device, object or system. Synthetic biology is a combination of biology and engineering, and with the engineering process gets more and more complicated, often it is impossible to easily understand the inside, which is the biological part of the system. Reverse engineering serves perfectly for the purpose to bring back the biological essence. Genetic Regulatory Network(GRN) has been a major subject in recent researches of synthetic biology, and the modulation of a GRN gives rise to a variety of exciting works among iGEM programs as well as softwares assisting synthetic biology researches. Traditionally, researches of GRNs have been focused on either connecting GRNs with real parts in the registry or with experimental data. 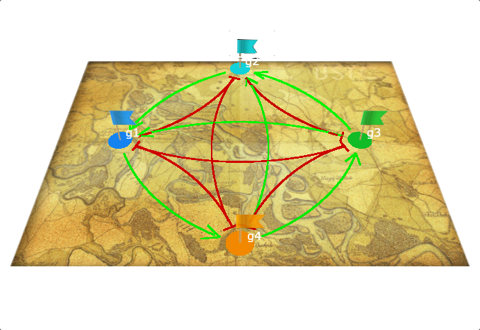 Therefore, we want to completely connect these three factors. In order to fully combine biological networks, experimental data and mathematical models, we build a suite of applications that serves to solve different tasks and make them work seamlessly together. With the all-in-one software suite, you can display experimental data, extract mathematical models, understand the genetic regulatory networks and get a well-designed report of the results. We designed the user interfaces to be fun to interact with and easy to use. Machine learning is a branch of artificial intelligence that is widely used in many disciplines such as software engineering, computer vision, finance, Neuroscience and bioinformatics. During reverse engineering, we use many machine learning techniques and algorithms to help optimize the process so that the process is faster and more accurate.